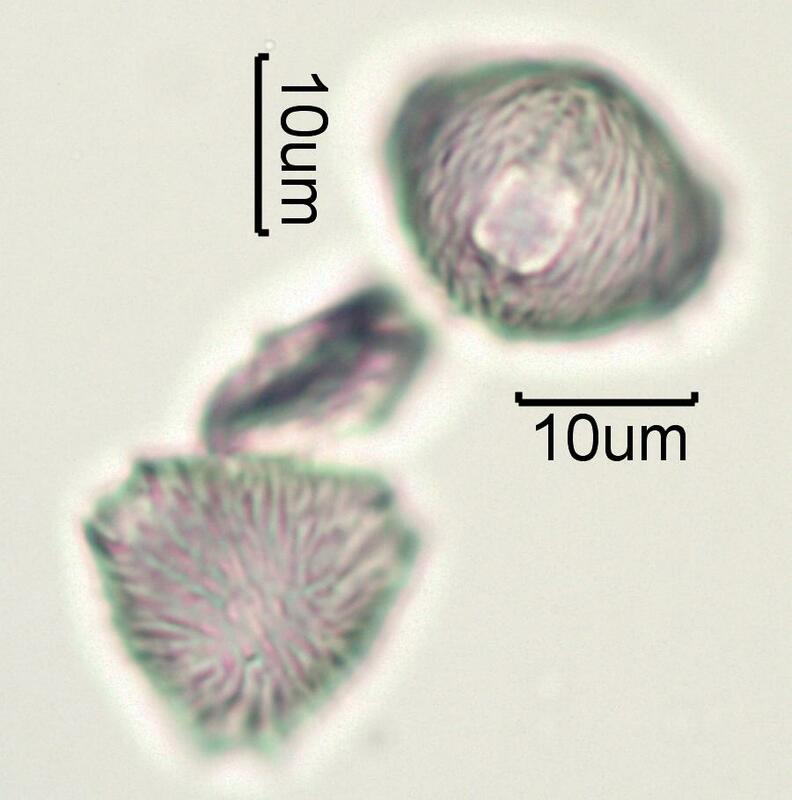 This is pollen collected from a wild strawberry flower found in a yard in Redmond, Washington. It has been dewaxed with alcohol but not acetalized. The mounting medium is Melt Mount with a refractive index of 1.704. This is at intermediate focus.